John Yates Beall, a young, well-educated Virginian, from a wealthy family, found himself looking at the gallows on February 25, 1865. It must have seem like an unexpected ending to a man whose dedication to his religious beliefs were strong, indeed, so compelling, that they even steered him away from billiards tables. Beall served as a private under the legendary Stonewall Jackson for a brief period of time, but received a serious chest wound in October of 1861. He then buddied up to a nephew of Robert E. Lee's and got audiences with the President of the Confederacy, Jefferson Davis. Beall was soon given two small boats and a handful of men and granted the title of "acting master" in the Confederate Navy. But he was rarely provided with specific orders or assignments. Instead, Beall acted as a kind of "privateer," randomly appearing here and there to destroy a lighthouse, cut a telegraph wire or capture a trading vessel. As will be seen, the ambiguous nature of Beall’s position eventually carried over into his work. Eventually, General Wister and five hundred men were sent out to capture Beall and whoever was with him. In November of 1863, Beall was placed in irons in Fort McHenry. But he was part of a prisoner exchange the following year and it wasn't long before Beall and twenty to thirty men dressed as ordinary citizens boarded the Philo Parsons. Beall casually chatted with the mate at the wheel as the vessel approached Kelley’s Island. He then announced that he was a Confederate officer and drew a pistol on the mate. The Philo Parsons was quickly seized without incident. With a ship to master, Beall pulled along side a smaller steamer, the Island Queen and greeted its crew with pistols and hatchets. An engineer was shot in the face. After releasing thirty passengers on shore, Beall and his men scuttled the Island Queen in Lake Erie and put their sights on larger prey, the Michigan, a war steamer. The hope was that the Michigan could also be seized, then used in an assault on Beall’s final target and ticket to a prized place in the annals of the history of warfare: Johnson's Island in Sandusky Bay. Fifteen of Johnson Island's three hundred acres were encompassed by a twelve to fourteen-foot high plank fence and used as a place to detain captured Confederate officers. Historian Edward T. Downer notes the Island presented “a frigid and forbidding prospect during the winter months,” especially to “Southern boys who had never seen snow” and “found walking on ice a precarious experience.” Isaac Ridgeway Trimble, the sixty-two year old Major General who lost one of his legs in Pickett’s famous charge at Gettysburg, attempted to relieve the general misery by commanding snowball fights against General Meriwether Jeff Thompson (Missouri). As 1864 came to a close, there were well over two thousand prisoners behind the fence. They were housed in thirteen two-story barracks (or “block”) that faced each other along a one hundred and fifty-foot street. Although official records indicate only twelve prisoners (of a total of at least twelve thousand) ever escaped from Johnson’s Island, Downer notes the fear or “organized revolts among the prisoners [kept] prison authorities in a constant state of alarm.” Historian Frederick J. Shepard also notes that, almost from the establishment of the prison, there were constant fears of Confederate attacks on the island from Canada. And, now, at last, John Yates Beall sat, waiting in the water off the miserable Island, watching for a signal, and anticipating his big chance. The signal was to be a flare which would actually be shot from the bow of the Michigan. It would tell Beall and his men that the time was right to attack the ship. Charles Cole, a confederate agent, was the man who was supposed to shoot the flare. He was also in charge of making sure that a gala dinner on board the Michigan that evening would feature drugged champagne. It all may very well have worked had Cole not been arrested in his hotel room earlier that afternoon! We the undersigned [take] pleasure in expressing our admiration of the gentlemanly bearing, skill and courage of Captain John Y. Beall as a commanding officer and a gentleman, but believing and being well convinced that the enemy is already apprised of our approach, and is so well prepared that we cannot by any possibility make it a success, and having already captured two boats, we respectfully decline to prosecute it any further. Beall was caught by a local policeman in New York at a railway station on December 14, 1864. Captain Beall was charged with "violations of the laws of war" and "acting as a spy." In a trial that lasted a week, Beall's defense counsel argued that his client was simply following orders. Confederate President Jefferson Davis supported the contention with a proclamation. But Beall was found guilty on both of the major charges and eight of the nine specifications in the original indictment. He was sentenced to hang ten days later, on February 18th. Beall asked a friend to send a copy of the trial record to President Lincoln and attached to it a message: "Some of the evidence is true, some false. I am not a spy or guerrilero. The execution of the sentence will be murder." Dorris notes that a "tremendous effort" was made to have Beall's sentence commuted to life imprisonment." Lincoln gave the case "careful study," but rejected "numerous appeals for clemency" from "men of great personal influence." Pleas came from the Librarian of Congress, the President of the Baltimore and Ohio railroad and numerous lawyers from prominent firms. 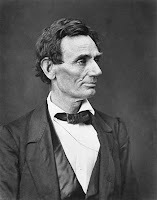 Six United States Senators formally petitioned Lincoln to exercise clemency along with eighty-five members of the House of Representatives. Carl Sandburg's biography of Lincoln notes "at no time during the four years of the ear had such a mass of formidable influence come forward seeking [a] commutation of death sentence to life imprisonment." Dorris concludes that if there ever was a case where Lincoln "could have justified mercy," it was the case if Beall. But, Lincoln would not budge. He told friends that there were "cases where the law must be executed" and that he "had to stand firm" in the Beall case, even as Beall's sister begged and cried for her brother's life. Lincoln biographer William E. Barton sees things from a different angle: Beall was a superior man and a brave man, whose acts, like those of Nathan Hale [bring] deserved applause for their courage, but are clearly liable to the death penalty. Lincoln did actually grant Beall a six-day reprieve. General Dix was generous in his granting of hanging-attendance passes and several hundred civilians and journalists were on hand when the event finally arrived. On February 25, 1865, Beall stood in front of his last audience, faced himself toward Virginia, and declared a "protest" of his hanging. He called it "a brutal murder." Forty-five days after Beall's hanging, Abraham Lincoln was assassinated. For many years afterward, more than a few theorists connected Lincoln's death with his refusal to have mercy on John Yates Beall.